In the time that I've been hosting projects at Digital Ocean, I can truly say I've been more than happy. Performance and functionality is great. However one small problem that is becoming major. Bad things will happen, but if reports are not received about bad things, we may soon all be in a bad neighborhood without without the abuse team being aware of it. What follows next is RBLs and like. 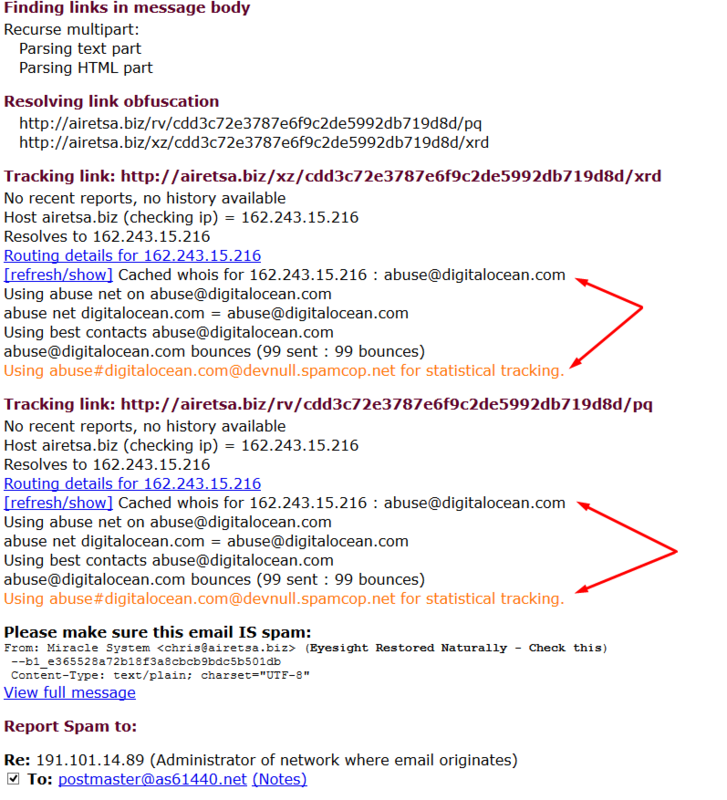 Could the abuse team please make a plan to resolve issues linked to spamming and reports about it from SpamCop? I actually received more spam when submitting requests to SpamCop. However, this post is about abuse@ not working as it should which affects all legitimate users. So please do not cloud issues.